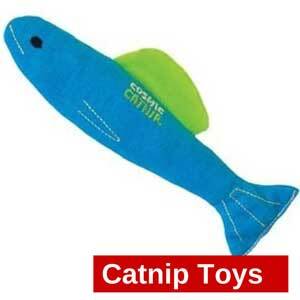 Cat Teaser Toys - A Great Way To Keep Your Cat Happy And Active. 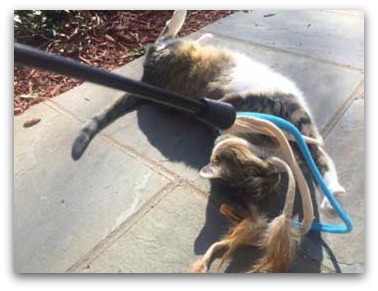 Cat teaser toys are a great choice for your cat especially if they don’t have access to the outside, but are fun for you to interact with your cat too. 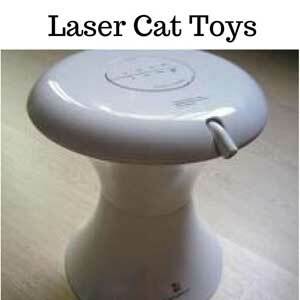 They are designed to keep your cat alert and active. Just as the name suggests they tease your cat into play by either looking like their natural pray or moving in quick darting ways which always gets those cats ears twitching. The great thing about these feather toys is that you can either use them to play with your cat, or they work equally well when your cat plays with them by themselves. Teaser toys are often made with a length of string with something dangling on the end, usually a mouse or a feather or both if they are lucky. 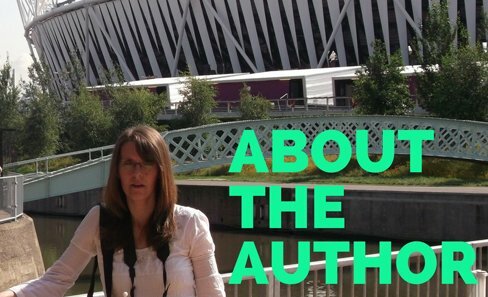 Some also come with bells or something else which makes a noise when dragged along the floor. My cats like both types. We often hear the little tinkle of bells and our cats chasing around the downstairs rooms at night. It helps to wear them out, so they don't come and wake us up to early. This wand cat feather toy is great exercise for your cat, they just love to bat at those three feather toys dangling in front of them. The wand is extra long so that you can really get those feathers moving without you having to chase around too much. These classic teaser toys on wands are always a firm favourite with our cats, we always have at least two lying around the house. This wand is slightly different from the one above. It has feathers which are fixed to a wand making behave more like a duster would. Its colorful shiny strips and feathers are great at catching a cats attention its rustling sound drives them crazy too. Cats like variety with their toys and so having different types of teaser toy will keep them interested for longer.Hey you could even use it to get rid of those corner of the room spiders webs too. Cats love to bite things too and these two soft balls with fluffy feathers attached allows the cat to both bite and bat at them. They can also be thrown for your cat to chase, allowing them the sensation of chasing their prey. These cat teaser toys allows for play when you are not around, It also has a timer so that it can be turned on at regular intervals which will intrigue your cat. Your cat will also learn that a beep sound indicates that the toy is about to move. The wand when turned on will both bounce and swing, simulating prey movements which will delight your cat. A fun toy which your cat will grow to love and enjoy every day. This is another toy which is automated and which can be left to turn on at intervals while you are away. Three bouncing strings with a ball, feather and bell keeps the toy varied and interesting for your cat. 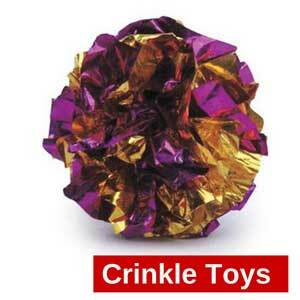 Each toy is also made from a crunchy plastic which is an added enticement for your cat. Over all this toy has it all and did in fact win the editors choice award in 2008. 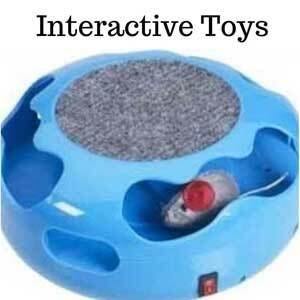 It’s also great to watch our cats when they come across one of their cat toys on the floor, or fishing about for them in their toy box. It always amazes me how they seem to look at them as if they have never seen them before. Wiggling their behinds and then pouncing on them over and over again. I like to use these cat teaser toys with my cats just before e go to bed. I spend a mad half hour dragging these toys around and watching as the cats chase, grab, fling and generally have a great time. Then a quick snack and off to their beds they go, hopefully until morning. These kinds of chasing games really does help to settle them down for the night. Very useful if you have a cat that meows at night.